Georges Sada was one of Saddam's top generals and foremost military advisors. A truth-teller in a government that made the truth dangerous. A devout Christian in a Muslim country. And a man who would stand up for what was right?even at the risk of his own life. In this eye-opening exposé, General Sada shares his bizarre yet amazing journey as an insider to one of history's most sinister regimes. 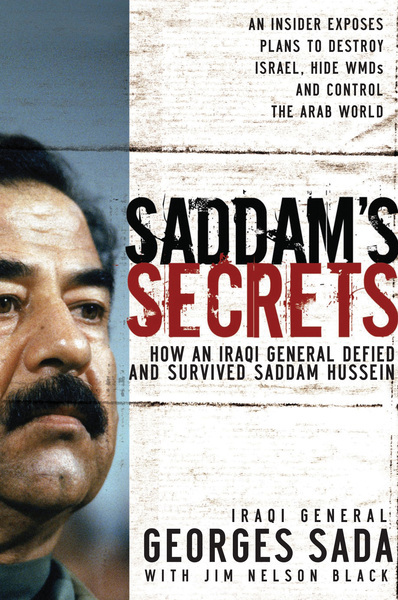 He also, for the first time, reveals the disturbing truth about Saddam's plots to destroy Israel, hide weapons of mass destruction and overtake the Arab world. As an eye witness to history, Sada paints a painfully truthful picture of Hussein and his country that is at once personal and alarming, truthful and compelling, candid and sobering. It is a story guaranteed to send shock waves around the world.